GeoWorld Travel is based within the Brecon Beacons National Park in Wales. 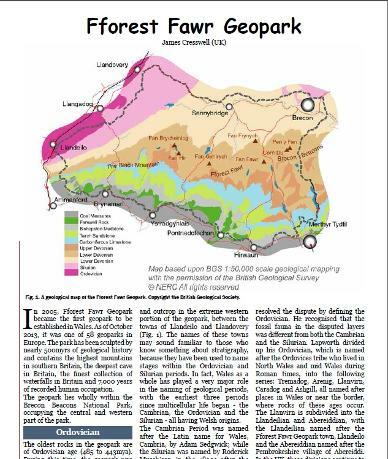 The National Park has excellent geology and the western two thirds of it forms the Fforest Fawr Geopark. The park has been sculpted by nearly 500 million years of geological history, and contains the highest mountains in southern Britain, the deepest cave in Britain, the finest collection of waterfalls in Britain and 7000 years of recorded human occupation. GeoWorld Travel offers a geological day tour of the Geopark and 5 different general interest Sightseeing Tours in the wider National Park area. We also offer Walking Tours in 5 different areas of the National Park and Geopark with 3 different grades available. We also offer a geological day tour on the nearby Glamorgan Heritage Coast which is famous for its Dinosaur footprints and the Welsh Dinosaur.For larger groups such as Universities, Schools and U3A groups we have a selection of Field Trips. GeoWorld Travel's General Interest Tours are provided under our Trading Name 'Brecon Beacons Tours'. 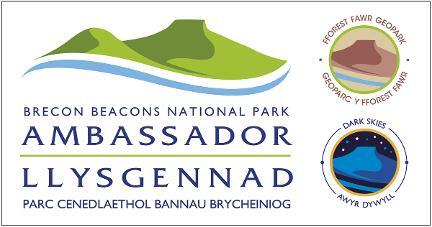 The links to tours will open the separate Brecon Beacons Tours website. GeoWorld Travel's Director James Cresswell is an accreddited Ambassador to the Brecon Beacons National Park, the Fforest Fawr Geopark and the Brecon Beacons International Dark Skies Reserve. GeoWorld Travel's Director James Cresswell is qualified Mountain Leader, and is qualified to take you on Walking Tours in the Brecon Beacons National Park.